After I told Ted that I think he should read and review Irredeemable (read his review here), I figured I should read it’s companion series. Incorruptible ran concurrently with Irredeemable. Where that book was an exploration of what would happen if a superhero went bad, this explores the opposite--a villain going good. This story opens with Max Damage, a career supervillain, appearing out of seemingly nowhere and single handedly defeating his old crew. Why would he turn on his colleagues? Well, he was at ground zero when his arch nemesis, The Plutonian, went insane and destroyed a city and everyone in it. This even traumatized Max so completely that he decides to turn over a new leaf and become a hero, seeing as he’s the only being on the planet that’s capable of going toe-to-toe with The Plutonian. But it isn’t all smooth sailing from the get-go, as a career villain, he knows nothing about how to be a hero. So how does he go about playing the good guy? Just do the exact opposite of what he used to do! This series follows his transition from his stumbling first steps at playing the hero to his eventual ascension to that goal. There is so much to like about this series, first and foremost, the writing of Mark Waid. He’s always been a favorite of mine, with my first exposure to him being his sublime Operation: Rebirth arc in Captain America. In this series, he really explores just how fragile a person’s sanity can really be. Max isn’t the only character in this series that gets so rocked to their very core that it produces a sea change in them. Both of his sidekicks are most definitely certifiable and his one ally in his city’s police force takes a tragic turn. In typical Waid fashion, the dialog is sharp and all the characters have a real sense of life to them. In Irredeemable, Waid explains how Plutonian’s powers work in a truly genius fashion. In this story, he has a rather interesting take on Max’s powerset. He’s, for the most part, from the Luke Cage mold--invulnerable and super strong, but with a twist. When he sleeps, he reverts to a completely normal human being, but after an hour of being awake, his metabolism kicks in and he starts to gain his invulnerability and strength. The longer he’s awake, the stronger and more impervious to damage he becomes. He’s able to go days, even weeks, without sleep with no upper limit to his powers. But it comes at a price: he is still susceptible to the effects of sleep deprivation, just like any person. Another downside is that once his metabolism kicks in after some sleep, he loses all his senses except sight and hearing. He can’t taste, feel, or smell after that first hour of being awake. In the intro for this review, I listed four different artists on this series. They all did a fantastic job in bringing this series to life, but the real stand out among them is Marcio Takara. With sixteen issues under his belt, he’s the longest tenured artist on the book and his style is fantastic. His linework really made me think of a style like Bruce Timm or Darwyn Cooke. More recently, his work can be seen in the more recent issues of Captain Marvel. The verdict: Another in a long line of very solid work from Mark Waid. I actually think I enjoyed this one more than Irredeemable. 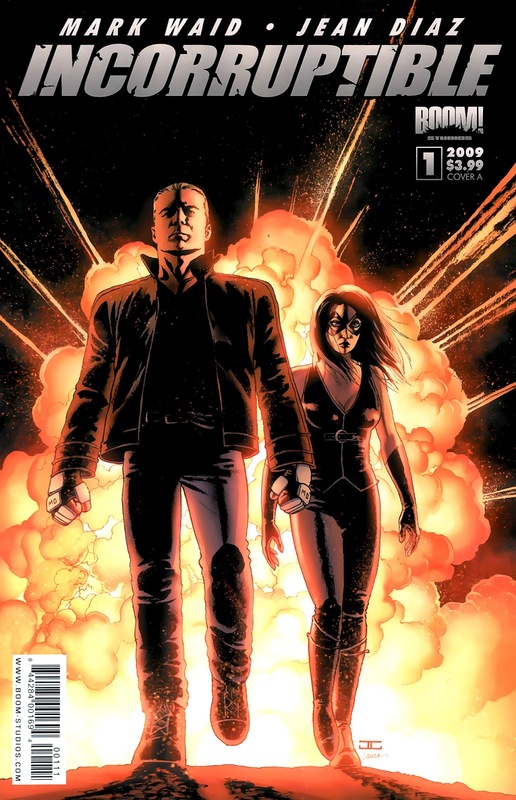 In Irredeemable, I felt there was a lull in around the middle of the series before it got back on track and finished really strong. This one comes out of the gate with an engaging, intense opening issue and pretty much maintains it all through the series.